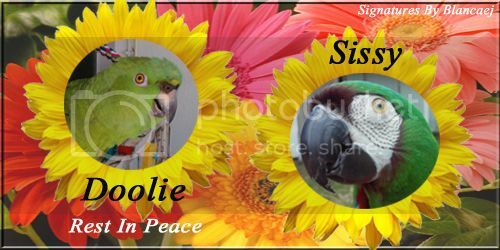 Doolie,Yellow nape amazon(r.i.p.03/10/15) Sissy,severe macaw(rescued on 03-16-15) owned many different breeds of parrots. This festival celebrates wildlife education. Its held at the raptor center of tampabay. Venders include edufeather, birds in helping hands,and various bird and parrot rescues from the area. My sanctuary will be there..ill be there educating people on the responsibilities of ownership.